A team of members from the State Co-ordination Committee of Confederation of Central Govt. Employees and Workers Odhisha comprising Com. 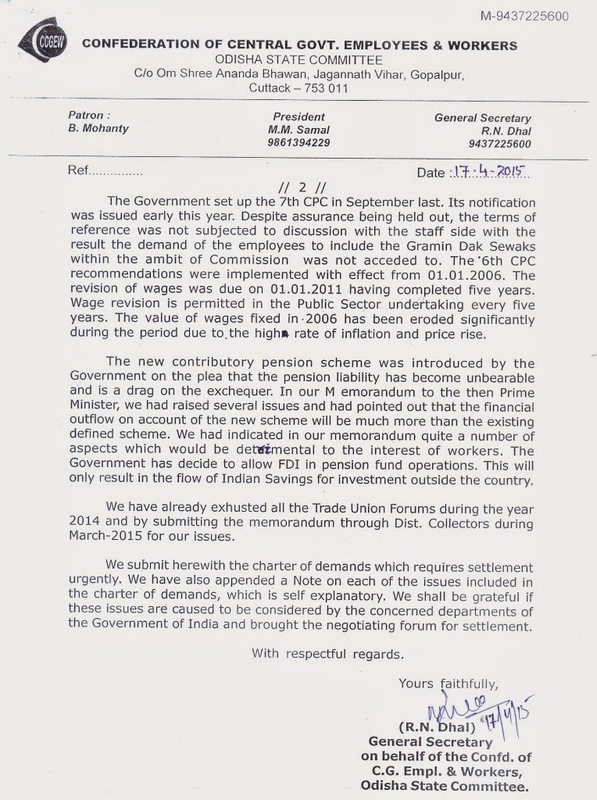 K C Sahoo, Vice-President ( from Govt of India Text Book Press), Com. J K Sahoo, Joint General Secretary ( from Institute of Physics), Com. Sadashiv Acharya, Vice-President ( from Central Ground Water Board ) Com. B Samal, Organizing Secretary ( from NFPE) under the leadership of Com. R N Dhal, General Secretary met His Excellency Sj. 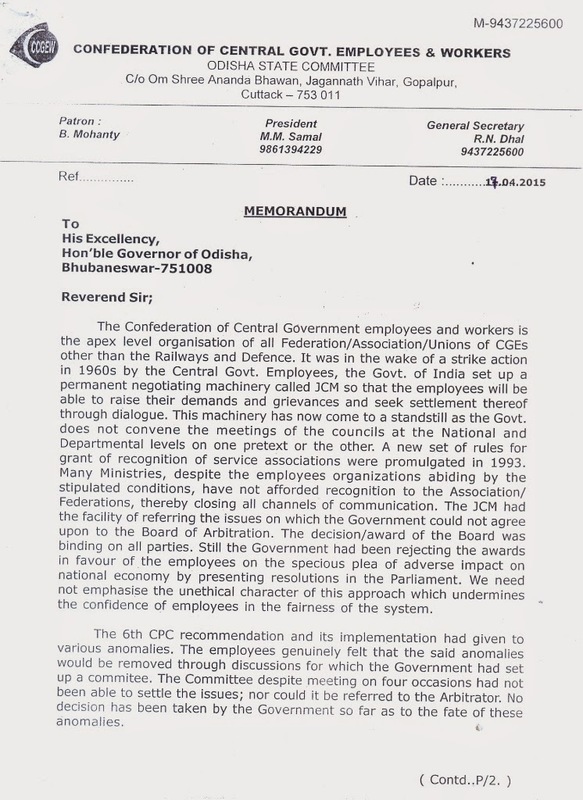 S C Jamir, Hon’ble Governor of Odisha at 11.20 AM on 17.04.2015 and handed over him a memorandum with brief notes on 12 point charter of Demands. The Hon’ble Governor gave a patient hearing to the problems of the Central Govt. 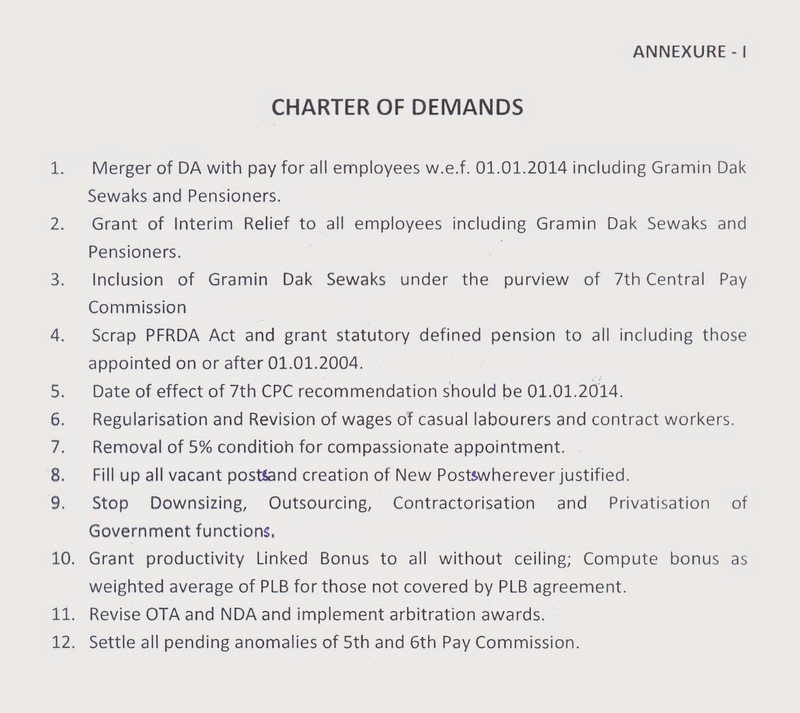 employees included in the 12 point charter of demand and assured to forward the same to the Union Govt.